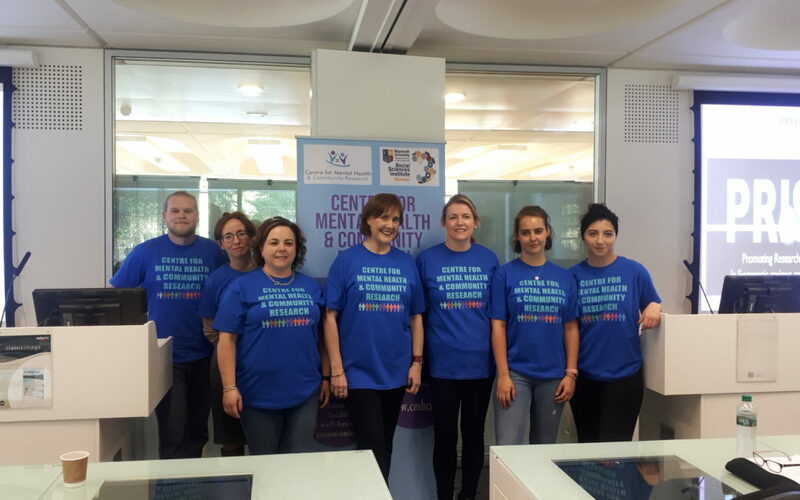 The CMHCR hosted a well received event on the 10th October, as part of Maynooth University Research Week 2018 and to celebrate World Mental Health Day. The event was supported by the Maynooth University Research and Development Office who kindly provided complimentary lunch and refreshments. This event involved a number of staff and postgraduate students from the CMHCR (Department of Psychology) – talking about their personal journeys into academia and briefly describing their research on various aspects of mental health and well-being (focusing primarily on family mental health and school-based interventions). The presenters included Christine Mulligan, Penny Quinn, Shane Owen, Sharon McGarr and Professor Sinead McGilloway.